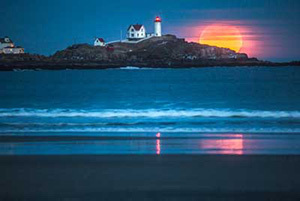 Why not leave a little Maine in someone’s stocking this year? We asked Amanda Blake Soule, author of The Creative Family Manifesto and blogger behind the maker-centric Soule Mama blog, to walk us through five family-friendly projects, all inspired by the Pine Tree State. We call it “elving” around my house: the process of excitedly scheming up something we’ve never made before, crafting together in the evenings, and wrapping and packaging to deliver to our loved ones. For my family of seven, the holidays always include working with our hands and making things to share with those we love. 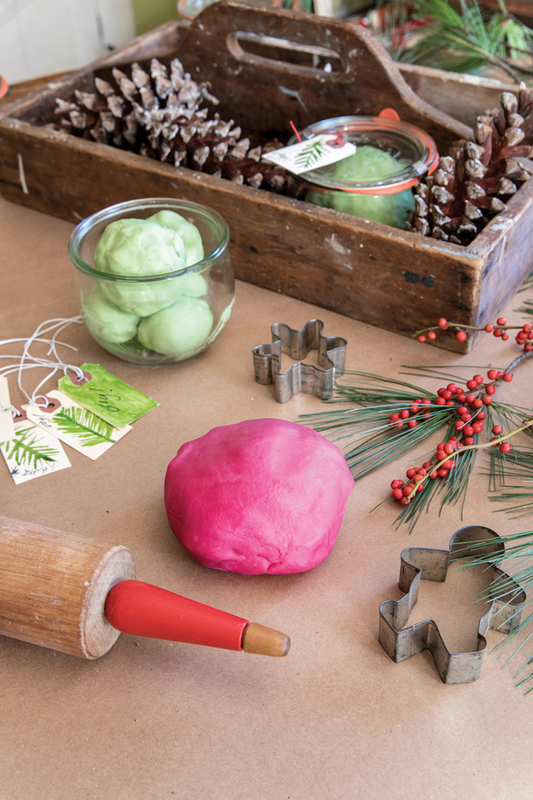 Crafting together during the holiday season brings us closer as a family and slows down time just a little bit, creating beautiful memories in the process. 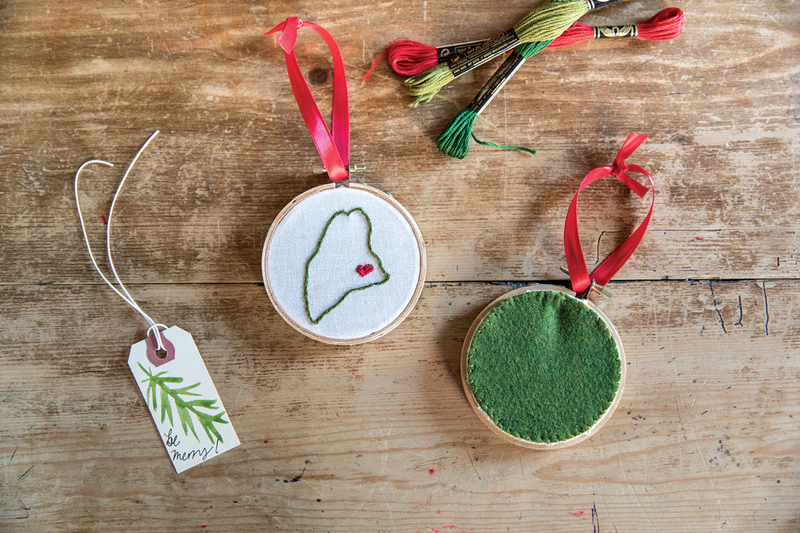 One way we like to think about holiday gifting is to send some of the magic of Maine to friends who’ve moved far away or family who might be missing their home state. 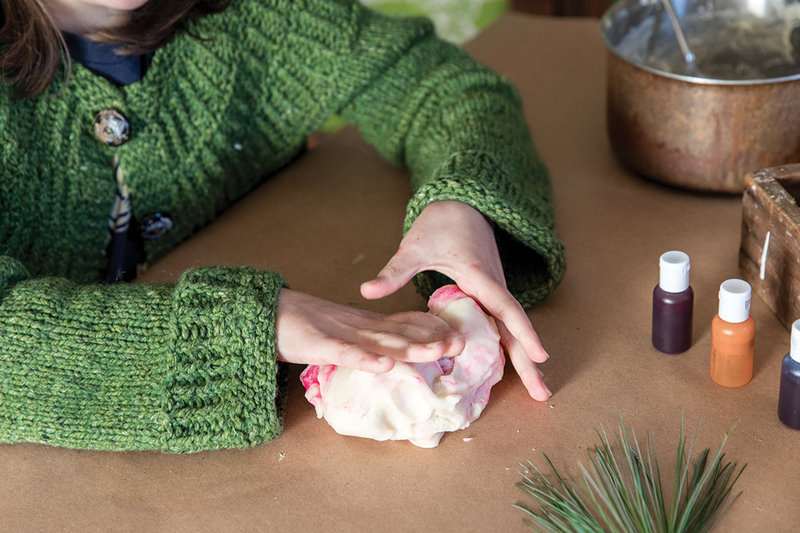 These five projects will cover all ages and interests on your holiday list.  This project came about as I was prepping for a wintry family ski day at Sunday River. As I packed our soup, I wondered what else I could do to add an element of warmth to our lunch break. My teenage son had just handed me a beloved L.L.Bean flannel, asking for help mending it (it was beyond mending), and the two ideas became one. 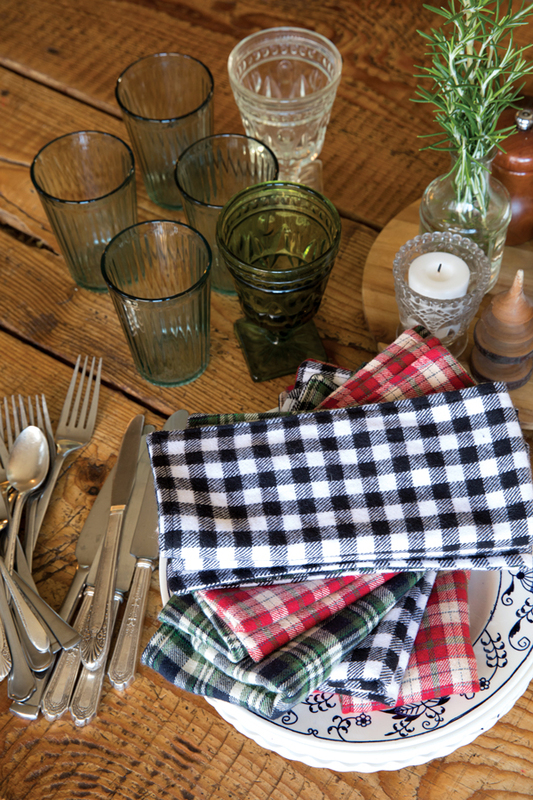 Double-sided, thick, warm flannel napkins! We made a set, then another, then another as friends requested them. 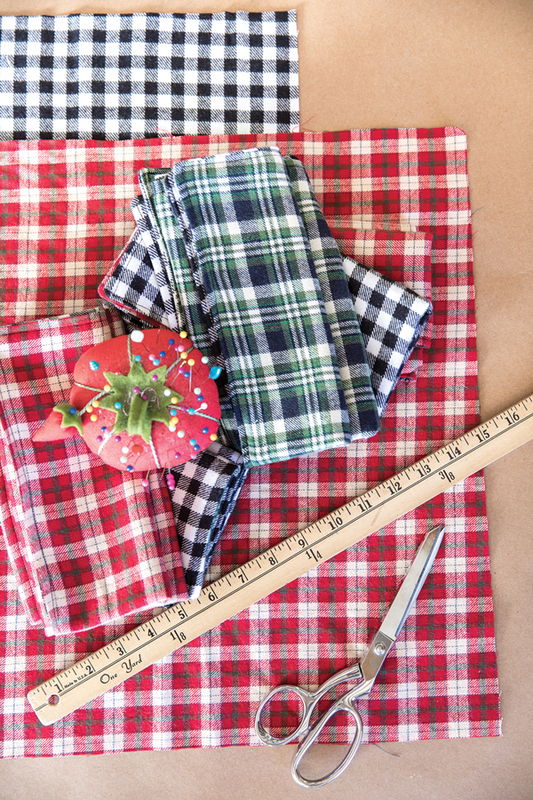 We ran out of shirts, but thankfully, plaid flannel is not hard to find in Maine fabric stores (or thrift stores). 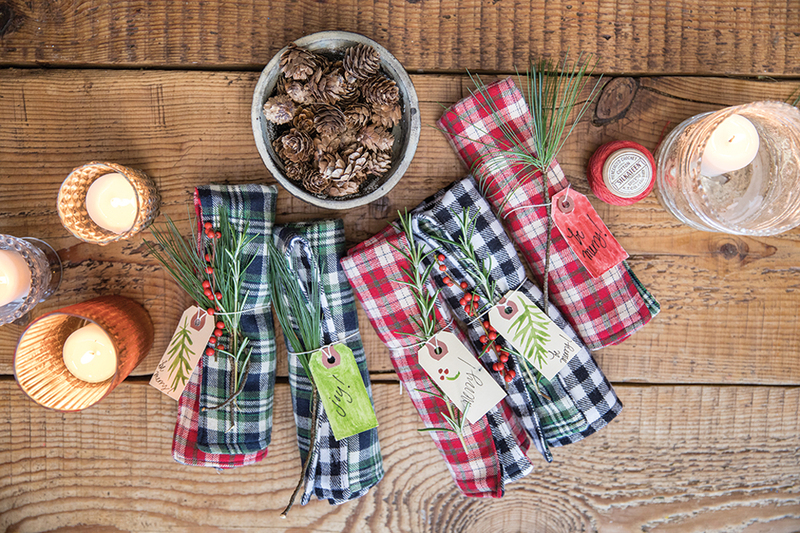 A set of four makes a lovely gift, bundled with twine and a snip of Maine pine. Prewash your fabric for shrinkage (unless you are repurposing already washed fabric) and press. Then, start by cutting your fabric into 18-inch squares. Place right sides of two squares together. (I like to use contrasting fabrics for each side, but follow your own fancy.) Pin in place. Starting 3 inches from one corner and using a ⅝-inch seam, begin stitching the pieces together, turning at each corner. Stop 3 inches before your beginning point, thereby leaving an opening. Trim the four corners, being careful not to cut into the stitches. Using the opening, turn the napkin right side out. Use the chopstick to gently push each corner out from the inside. Press. Topstitch around all four sides of the napkins, ⅜ of an inch from the edge, closing the opening in the process. Press once again and wrap as desired. Oil an 8×8-inch baking dish amd dust with a teaspoon of the powdered sugar. Set aside. Pour ⅓ cup of the water into the bowl of your electric mixer. Sprinkle the gelatin over the water and let sit to soften for approximately 10 minutes. Combine the remaining water with the sugar, sweetener syrup, and salt in a medium-size saucepan. Do not stir! Over medium-high heat, allow the mixture to come to 240 degrees on your thermometer (keep inserted in the pan without touching the bottom), then remove the pan from the heat. With the electric mixer on low, slowly pour the hot syrup over the softened gelatin. Still on low, beat to incorporate. Add the extracts, turning the speed up to medium and beating until it becomes stiff. It will be white, fluffy, glossy, firm, and very sticky. Depending on your mixer, this could take 8 to 11 minutes. 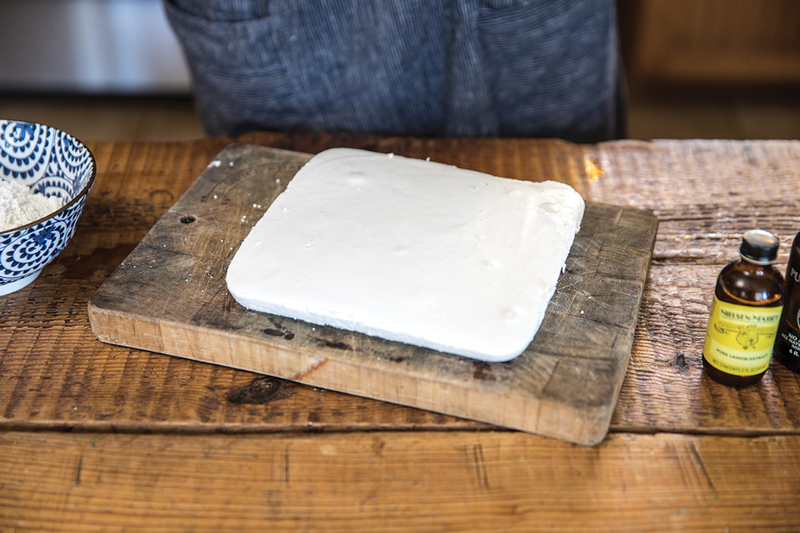 Oil a silicone spatula, then use it to remove the marshmallow mixture from the bowl and spread it evenly over the prepared baking dish. Set aside for at least an hour to let firm up. 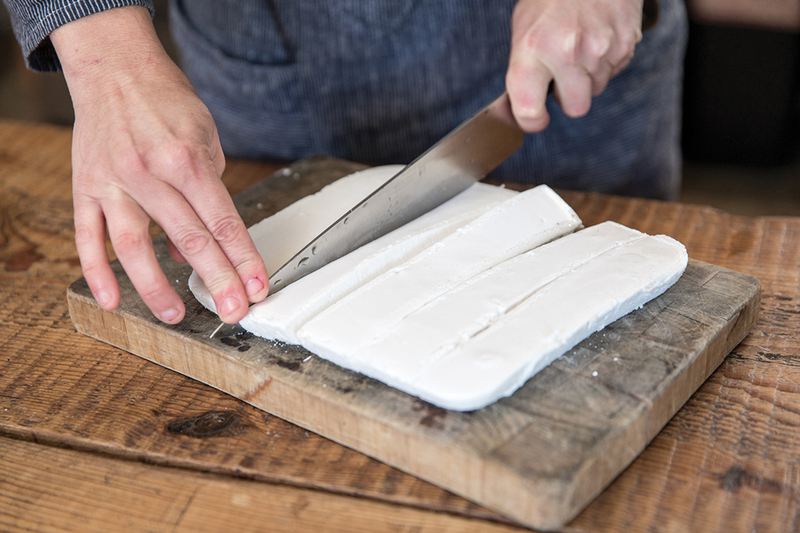 Use a wet knife to loosen the sheet of marshmallow from the pan, turning it out onto a cutting board. 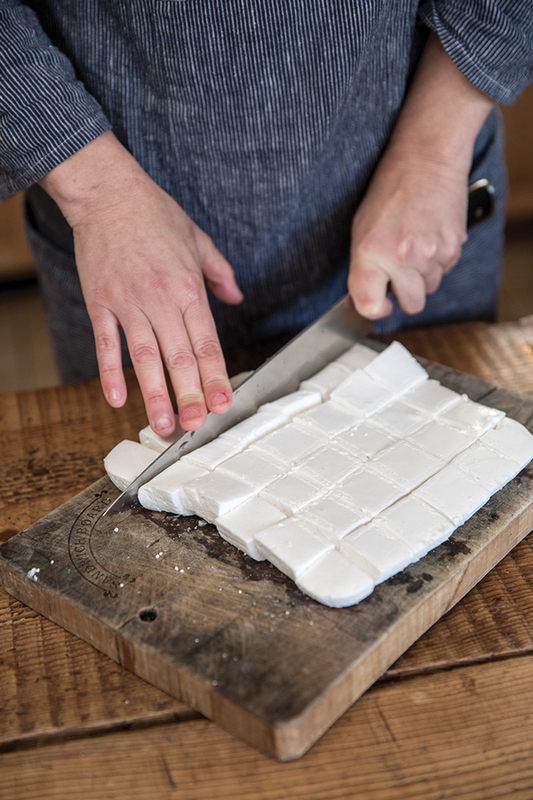 Cut the sheet of marshmallow into squares, whatever size you like. 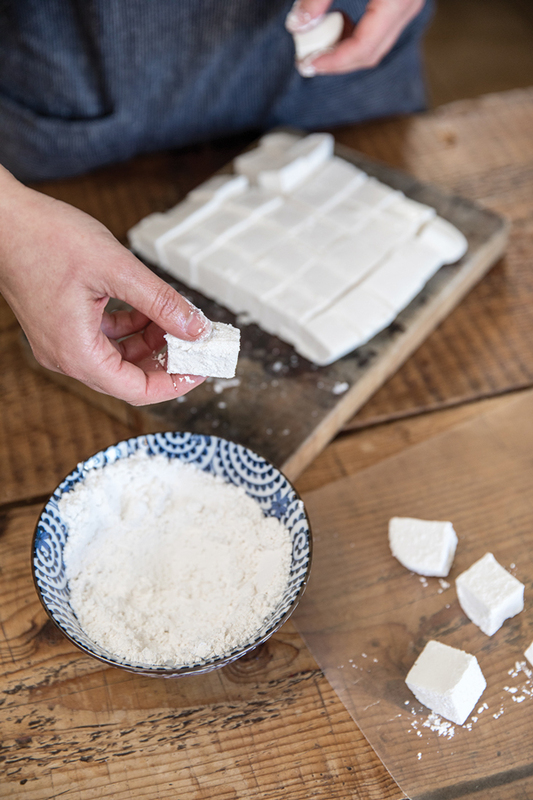 Place confectioners’ sugar in a shallow bowl and toss each square into the bowl. Sift and sprinkle additional sugar on as needed. 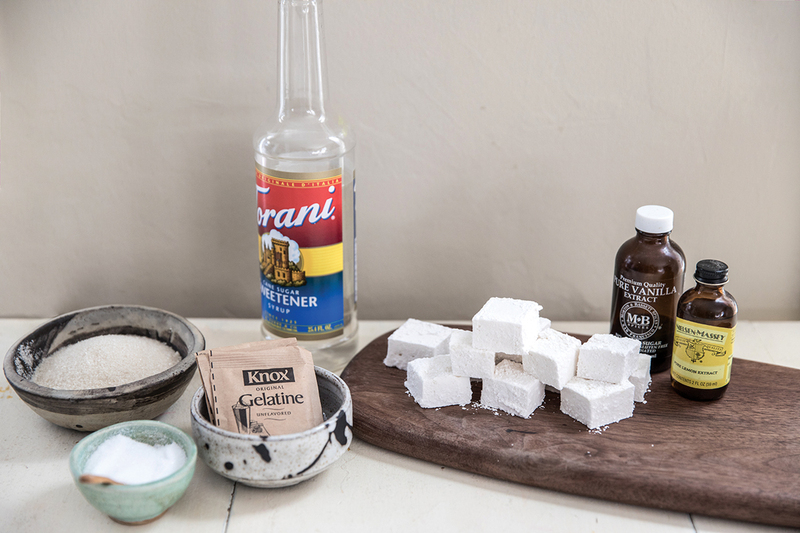 Store the marshmallows in an aitrtight container with layers of wax or parchment paper. Store covered, at room temperature, for up to a month. 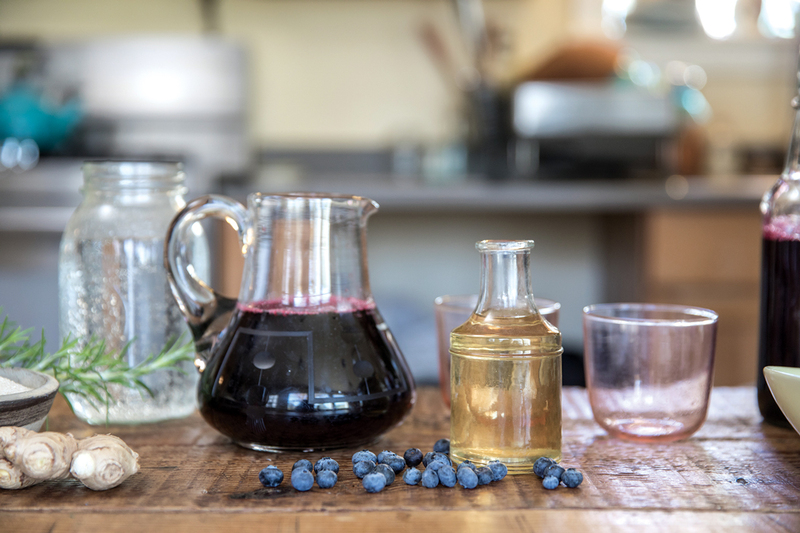 In the pre-refrigeration era, vinegar shrubs were a common way to preserve fruit after picking. Easy to make (just fruit, sugar, and vinegar! 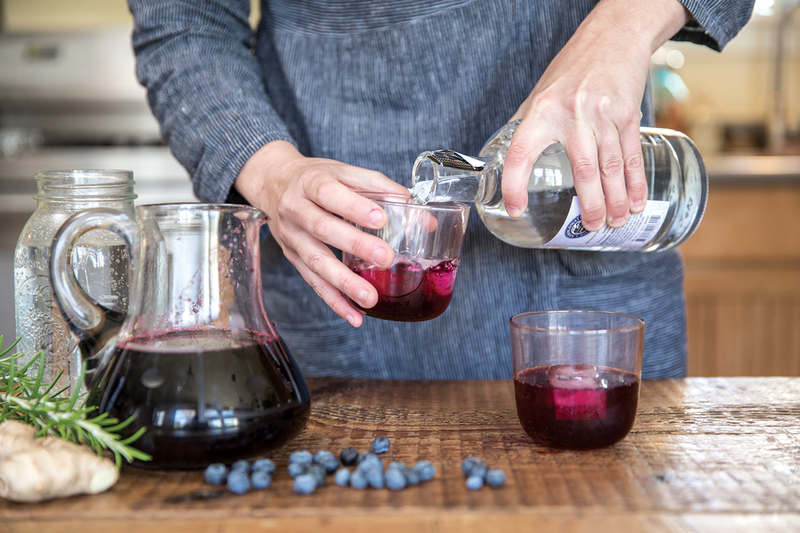 ), tart and sweet shrub syrups are great for cocktails and mocktails, and in cold storage, they have a long shelf life. The cold-processed method we use means breaking this project into multiple days, but it pays off in the flavor. We like to pour these into decorative bottles, then accompany the gift with recipe cards for a few different drinks. Rinse the berries, place them in a large bowl, and pour the sugar over them. Using a muddler or potato masher, crush the berries and sugar until they are pulpy. Then, add vinegar and grated ginger and stir to incorporate. Cover the bowl and place in the refrigerator for steeping. The mixture is ready when you see no more signs of the sugar, which can take a couple of days. When it’s ready, pass the mixture through a mesh sieve to strain out the solid bits. 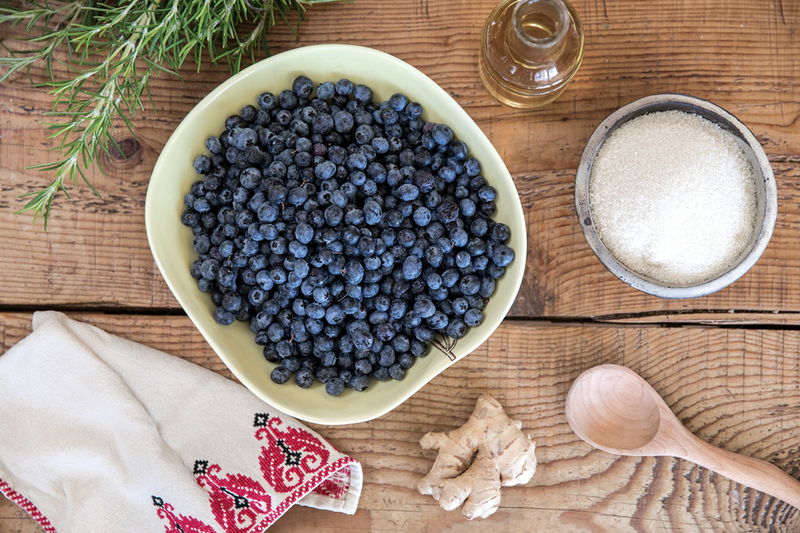 (Use the pulp in your next batch of blueberry muffins!) The liquid that remains is your shrub. Pour it through a funnel into your jar or bottle, then cap and refrigerate. Your shrub will last in the refrigerator for six to eight weeks, and it will mellow in flavor, becoming more sweet over time. In a Collins glass, add gin and shrub over ice, stirring to incorporate. 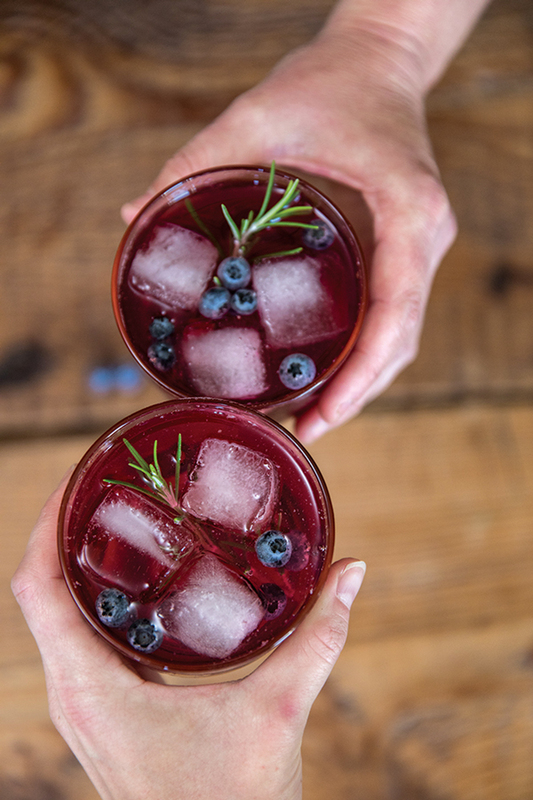 Fill glass with soda water and garnish with berries and rosemary. This is an absolute favorite of ours to make, give, and play with! There’s just so much variation you can create between color and scent. And then of course all the creations that can be made once the dough is ready. 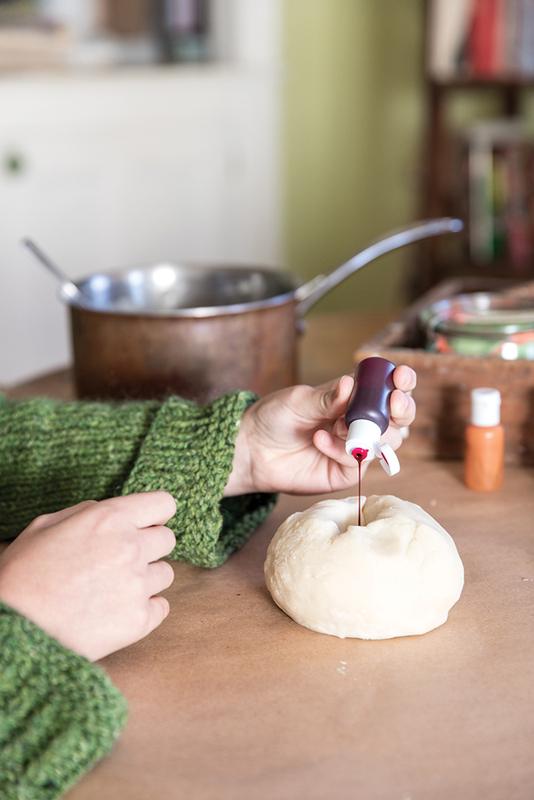 Packed in airtight jars, this dough can last for up to two months, and using natural food dye, is completely non-toxic and safe for little ones. Combine all dry ingredients in a medium saucepan. Add water and oil, then stir. Cook, stirring constantly, over medium heat. Continue to heat and stir until a ball of dough begins to take shape in your saucepan. Turn dough out onto a lightly floured surface, and let cool. Knead into a ball. Make a small dent in the center of the dough ball, then add a few drops of your chosen essential oils. Knead thoroughly. Again, make a ball of dough with a dent in the center and add food coloring. If you are using natural food coloring, we find five drops of blue to one drop of yellow gives us a nice Christmas-tree green! Start with one round of that and add until you reach your desired color. To make a candy-cane red, use peppermint essential oil and red food coloring. Cut a circle of the wool felt exactly the size of the larger hoop and set aside. 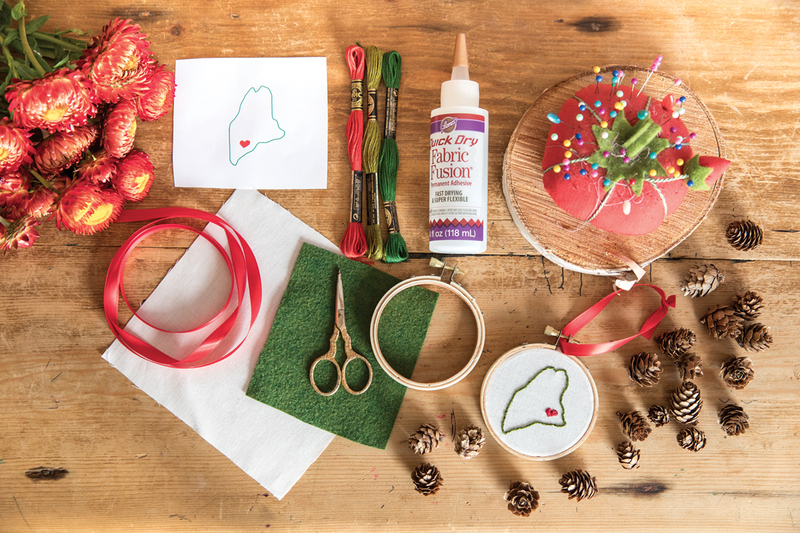 Download our printable Maine pattern and print the .pdf at 20 percent to get the right size — or draw or trace your own Maine (about 2½ inches tall) on a small sheet of paper. Press the cotton fabric to smooth out any wrinkles. Cut out a square around the Maine pattern shape. Place the pattern, then the square of cotton over it, against a bright window to trace the design onto the cotton using a pencil. When the state outline is done, adjust the fabric over the pattern to place the heart where you’d like it. Put the fabric in your embroidery hoop, centering the state and tightening the screws. Using a length of four strands of green floss, thread your embroidery needle to prepare for stitching. Though many different stitches will work for this pattern, I prefer the split stitch for the outline and satin stitch for the heart. You can find great video tutorials online for each of the following stitches, or use your favorite stitch if you have one. Split stitch: Start by coming up with your needle from the back to the front at any point along your pattern line. Complete this stitch by passing the needle and floss to the back again, coming up ⅜ of an inch from where you begin. Using the same stitch length, “split” that stitch by coming back up to the front about a half-stitch length in front of your first stitch. Then stitch back to the center of your first stitch, splitting the floss in half widthwise. Continue in this manner for the entire outline, splitting the previous stitch in half by both length and width. Weave in the ends of your floss or tie a small knot to secure. Satin stitch (using one strand of floss): Start by coming up with your needle from the back to the front at the bottom point of the heart. Insert the needle into the top V of the heart, passing the needle to the back. From the back, reinsert the needle directly next to your starting point, bringing it to the front. Reinsert it again from front to back, directly next to your previous stitch at the top V, staying on the pattern line. You’ll continue in this manner, going from bottom to top following the pattern until one side is complete. Repeat for the other side. When you’re done stitching, trim the excess fabric from the back, leaving about half an inch all around. Place the hoop face down on an ironing board and simply press these excess edges down towards the inside of the hoop, which will help you in the next step of attaching the backing. Depending on your preference, either stitch or glue the circle of felt to the back of the hoop, neatly tucking the extra cotton fabric behind the felt. To attach the ribbon, fold it in half, feed the loop under the screw in the embroidery hoop, and pull the cut ends through the loop to tighten. Tie the ends in a knot and trim. Down East talked to Amanda Blake Soule about her new book, The Creative Family Manifesto (Roost; paperback, 224 pages; $14.95). A guide to raising kids who want to make, do, and imagine, it’s an update of her popular 2008 book, The Creative Family: How to Encourage Imagination and Nurture Family Connections. I think it’s for young families who are kind of resisting popping their kids in front of the TV or other devices and screens, who want to connect, who believe that innovation and curiosity are fundamental to growing amazing people. I don’t want to lose sight of that way of looking at the world. This isn’t just about our children but also ourselves, what an opportunity we have with young people, to look at the world with fresh eyes. 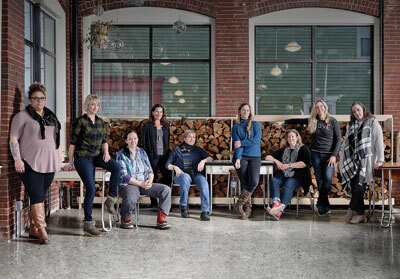 How does your home setting — a farm in the western Maine foothills — affect your creative work? We’re so spoiled here in Maine, it’s amazing. 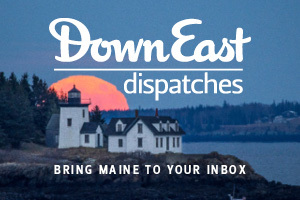 I grew up in South Portland, and I was reluctant to leave the ocean, but we also love lakes and the mountains, and the landscape and Maine’s distinct seasons are just a huge part of our daily rhythm. Do you just have a vault somewhere filled with all your kids’ saved art? Oh, sure — but just with the first child’s stuff, right? Our refrigerator is still the spot of honor. 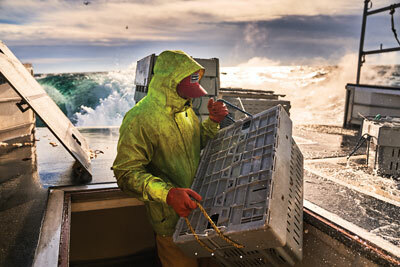 See more Maine-made gifts in our shop! 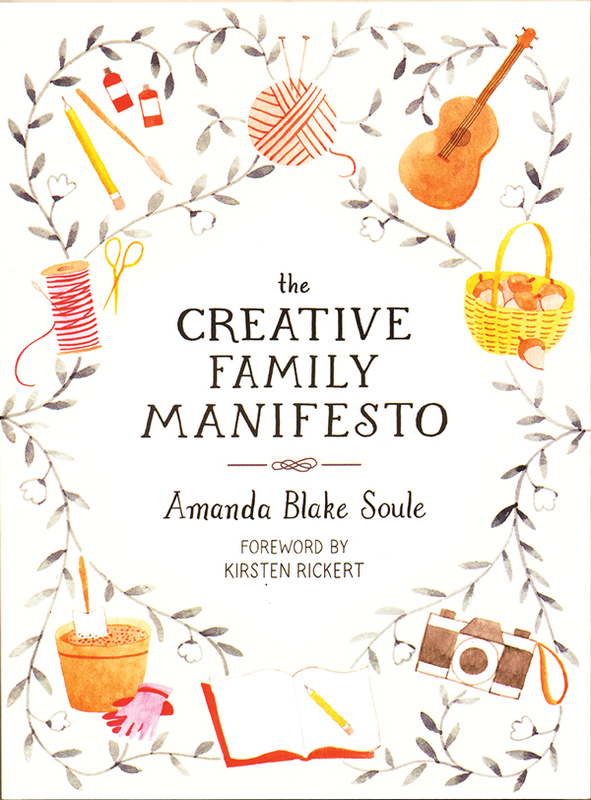 Amanda Blake Soule is the editor-in-chief of Taproot Magazine and the author, most recently, of The Creative Family Manifesto: Encouraging Imagination and Nurturing Family Connections.